We think we know Superman from eighty years of comics, movies and TV shows. The 1950s version featured LA’s own City Hall as the office of the Daily Planet. 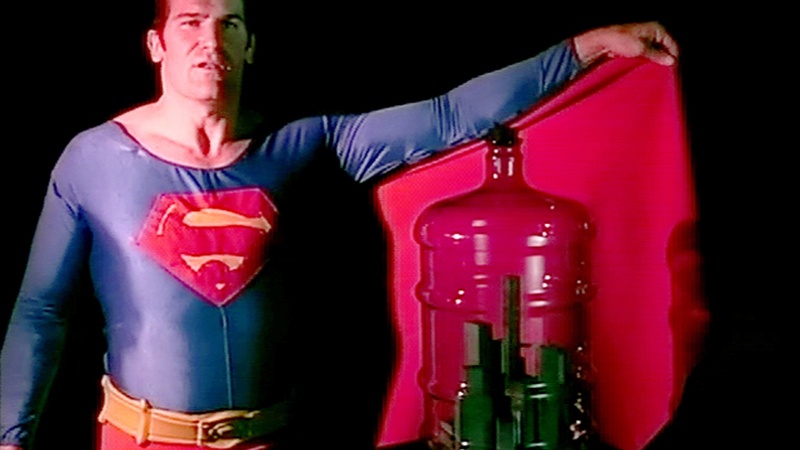 The many interpretations have diluted the complexity of the initial Superman story so that its deeper meaning became lost to many but not to Mike Kelley. 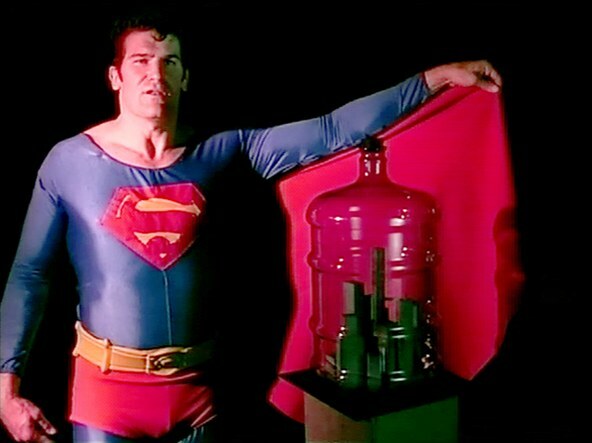 A survey of the artist's work inspired by the Superman story, Kandors 1999-2011, opens Saturday at Hauser and Wirth downtown. 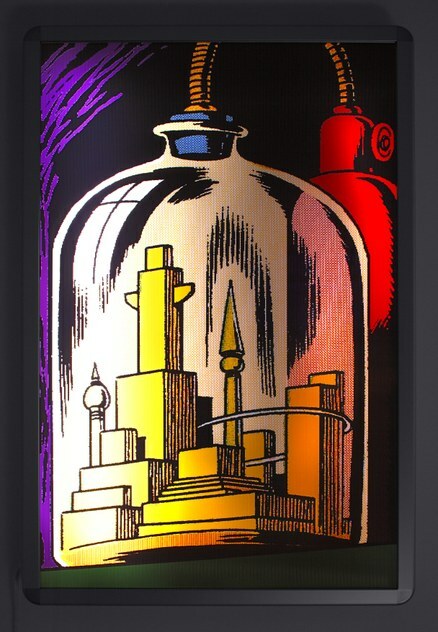 Widely considered to be one of the most American important artists of his generation, Kelley became fascinated by the city of Kandor, not only its role as the birthplace of Superman but its destiny. Thought to be destroyed, it was shrunk by the evil Brainiac but rescued by Superman. The city and all of its citizens continue to live under a bell jar with its own supply of atmosphere in Superman’s Fortress of Solitude. It survives as a place of memory and longing for Superman, an alien being forced to live on Earth using the secret identity of Clark Kent. Kelley, who took his own life in 2012, was fascinated by the story but also the ways that the city of Kandor was represented by illustrators in the comic strips. Though all of the cities were modern in design, with multicolored glass towers, there was surprising variation over the years. Kelley began the project at the dawn of the new millennium with Kandor Con 2000, his riff on a then nascent Comic Con, a convention for comic book collectors. 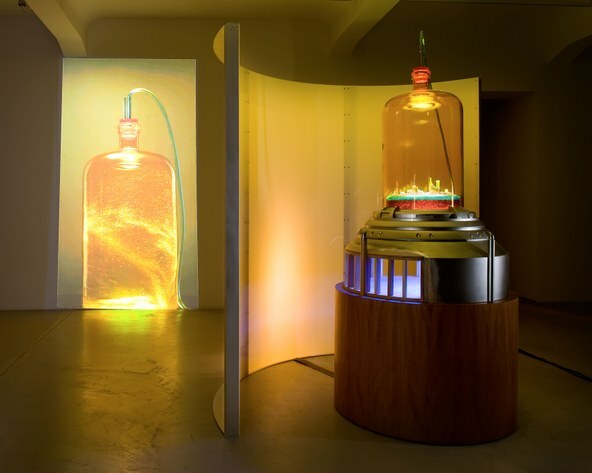 Over the next decade, Kelley went to elaborate lengths to reproduce each of the two-dimensional illustrations of Kandor as three-dimensional models in translucent, glowing colors. Cities come with hand-blown glass domes and, at times, hoses and tanks to provide the atmosphere. This exhibition includes what is referred to as a complete set of the Kandors, 20 pieces that glow in a large gallery darkened according to Kelley’s own specifications. The extensive array of works belonging to the French collector Francois Pinault is an invaluable addition. Though Kandors were included in Kelley’s 2014 retrospective at MOCA and other shows, this installation is spectacular, literally. It demonstrates clearly the sort of obsessive, aesthetic determination that made Kelley such a great artist. 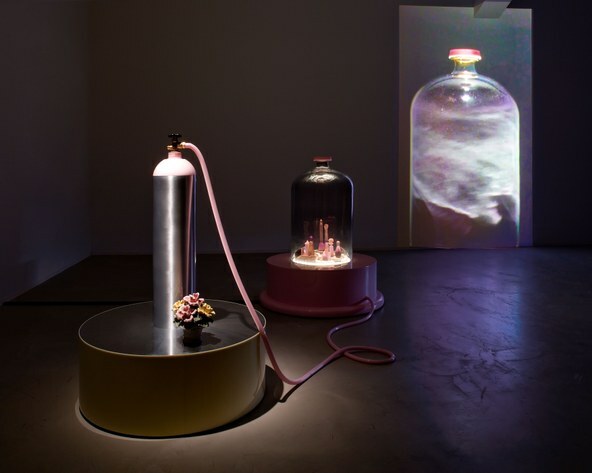 Along with lenticular panels, videos and other sculptures, the show reveals how his exploration of the Kandor ideals evolves. 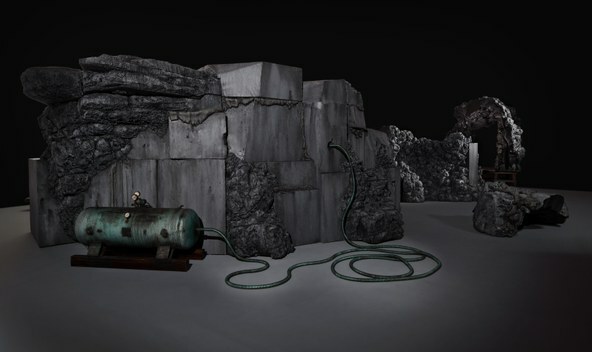 However, one of Kelley’s last installations is ominous and sexually suggestive, blackened rock formations as the Exploded Fortress of Solitude. The survey solidifies the impression of Kelley’s innovative, irrepressible talent. However, it is hard not to read into it the thoughts of a perennially depressed artist who identified with the isolated alien, with a false public persona, living in his own Fortress of Solitude. 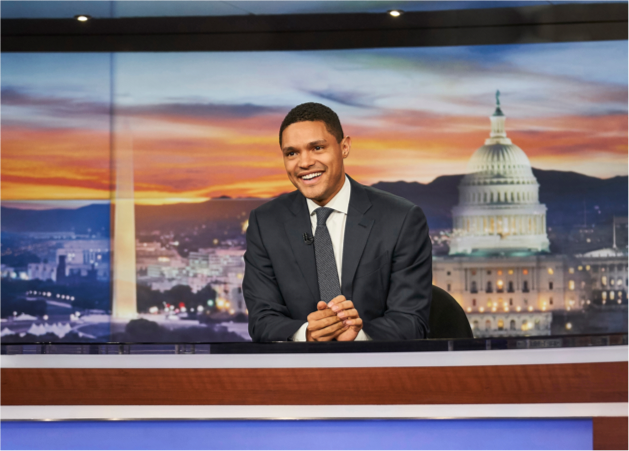 The show continues to January 21, 2018.